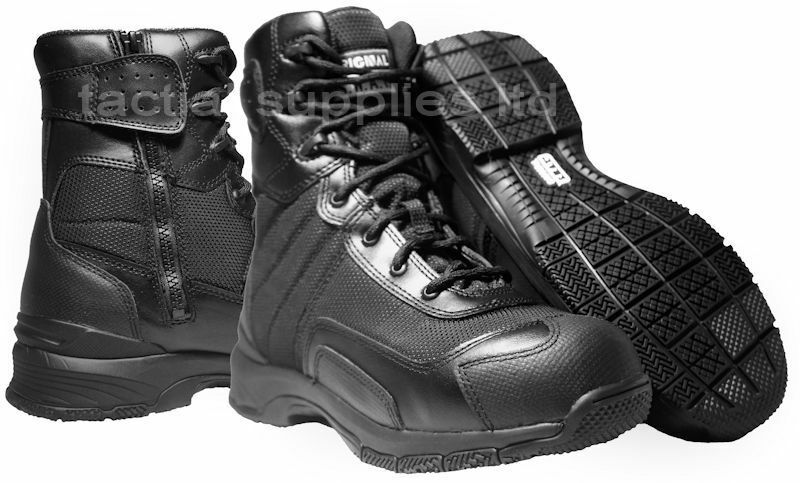 Born from the need to make the next generation lightweight tactical boot comes the H.A.W.K. 9” WP Side-Zip. Designed with agility performance features and not sacrificing durability features. 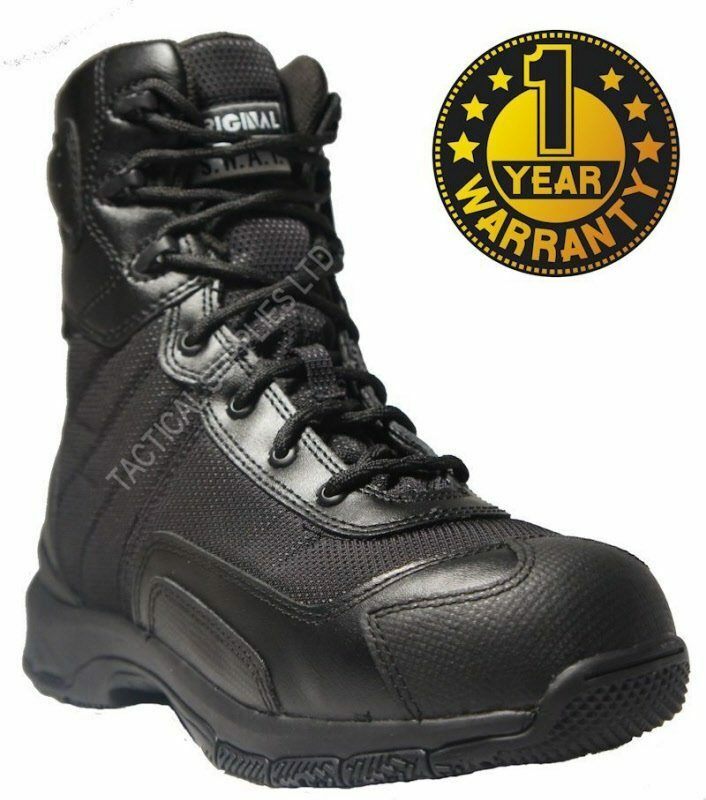 This boot comes with our custom Flex-Lite Support System which deliveries top of the range performance to weight ratio. Leather with nylon mesh uppers. Blood borne pathogen resistant properties for safety. Gusseted tongue for keeping out the dirt. Wicking lining and antimicrobial protection. Removable insole with performance cushioning pads. Lightweight dual density mid sole with shock absorption area. Airport friendly Flex-Lite stability board with support ridges. Molded thermoplastic heel counter and toe box. 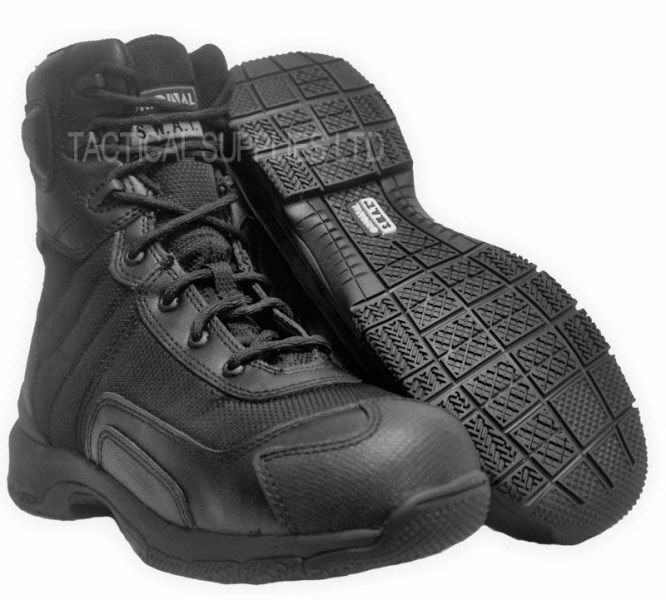 Street wise abrasion resistant toe. Ladder grips, for climbing, oil resistant, non-marking rubber. Oil resistance and rated slip resistance. Meets the UK standard for work footwear. wicking lining with microbial protection. Lightweight mid sole with shock absorption.